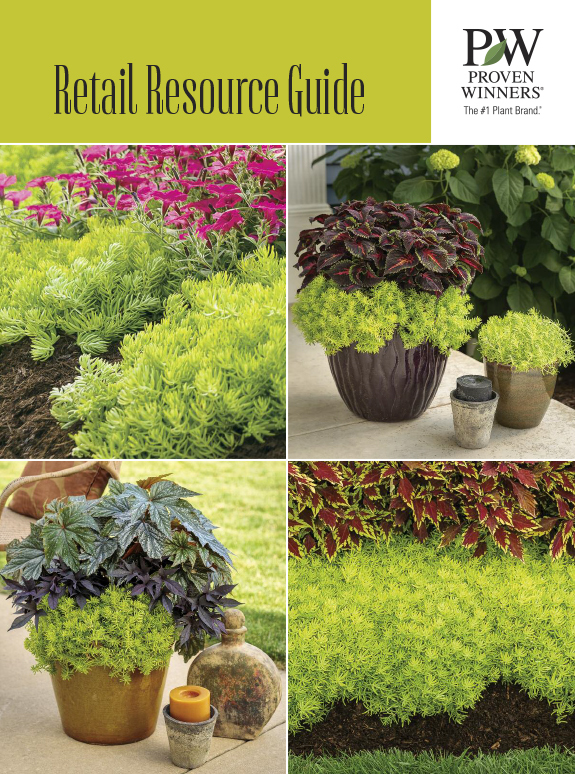 All of the new 2020 annuals, perennials, and shrubs varieties along with the national plants and receipes all in one guide. This guide also features the top 30 awaard winning annuals and a chart showing how Proven Winnes is adverting to consumers to build the brand and increase retail sales. 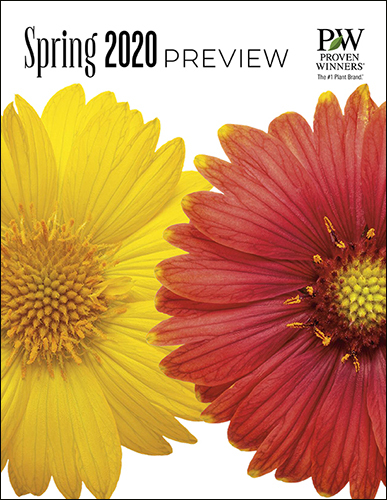 New display and point-of-purchase including Proven Harvest, Proven Pollinators, Plant This – Get This and Plants of the Year. 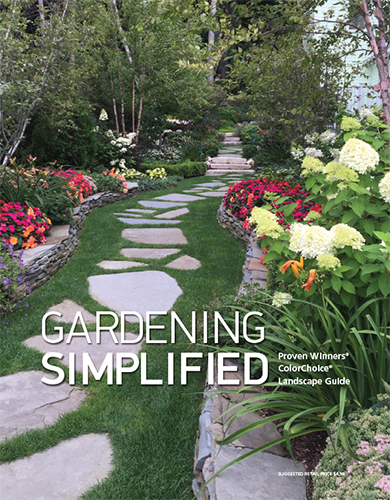 Want to work toward improving your landscape but not sure where to start? That’s what Gardening Simplified is all about. We took a different approach to this guide to Proven Winners shrubs this year, grouping plants according to how they may be used in your landscape. Our goal is two-fold: to help you find plants that you love and figure out where to plant them to best accentuate your home. How was your year? Were you inspired by something you saw, energized by something you heard, or excited by a new idea?We were! 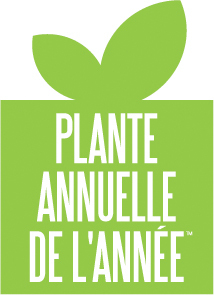 Our passion for plants and developing effective multimedia marketing campaigns was fueled by the stunning displays, creative ideas and engaging events we saw at the retail garden centers we visited this year.It’s your willingness to constantly look to improve and grow your business that motivates us. It drives Proven Winners to continually work to bring you effective, innovative ways to satisfy your customers. We know you have incredibly diverse options when it comes to the plants you stock. Fun novelty items that promise to be the next greatest trend are constantly popping up. When you choose to sell Proven Winners plants, you can be confident that our varieties are selected through extensive trialing at the grower, retailer and consumer performance levels. Our second-to-none national marketing campaigns, cooperative opportunities and regionally-focused efforts build awareness for the Proven Winners brand and drive traffic to your store. But you know what keeps your customers coming back year after year – the incredible success they have experienced with the products you offer. 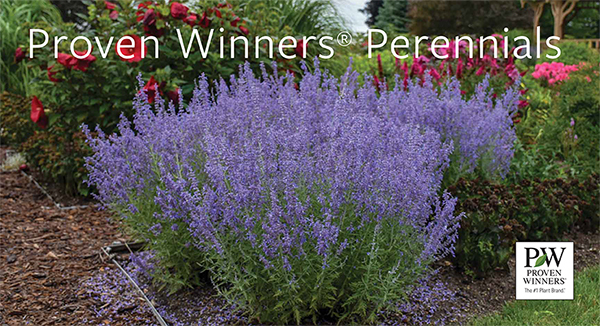 Proven Winners® flowering shrubs are going where they’ve never gone before: porches, patios, poolside, anywhere you can set a pot. 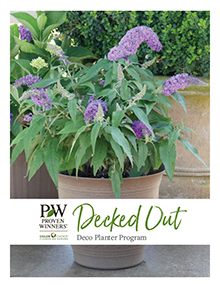 Decked Out™ is a new program and merchandising opportunity that combines our award-winning shrubs with decorative containers for irresistible, instant-purchase appeal. 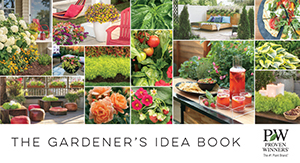 It’s an easy option for every market, from big city balconies to rural retreats.Though any of our 300+ shrubs can be grown in a container, we present the following suggestions to narrow down the list. They have been chosen for tidy presentation, low maintenance, and of course, the “it factor” that generates sales. 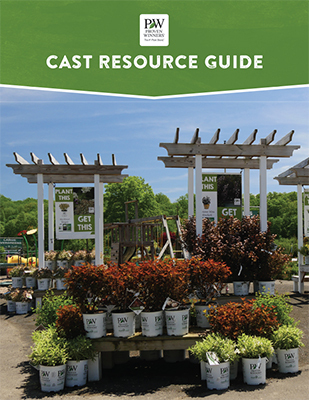 Our new Decked Out™ tag functions as a mini care manual that answers the most common questions about caring for shrubs in containers, so gardeners of any skill level can be confident in their purchase.